Need a reason to choose us? Here are 10! 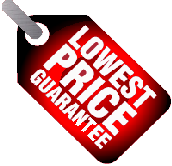 * Prices - we offer the best prices. How many of our competitors write this on their web site? You got it right. NON of them. the job to a sub contractors. We NEVER sub contract our jobs. * When you call us you get to speak to a locksmith. in our web site. Many of our competitors don’t! We wonder why..
* We are fast! Usually we will be there in 20 minutes. * We offer free online coupons for a variety of situations. * Customer satisfaction is our top priority. us. Many companies have unmarked vehicles. * Honesty - we will not perform and charge you for unnecessary work. provide competitor’s name and phone number for verification purpose.